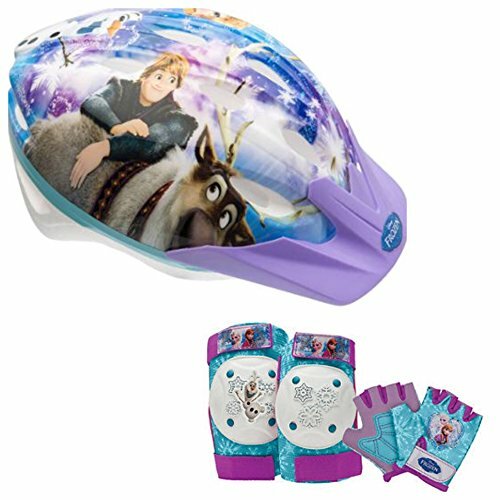 Frozen Ride On Toys – Which one is your child’s favorite? 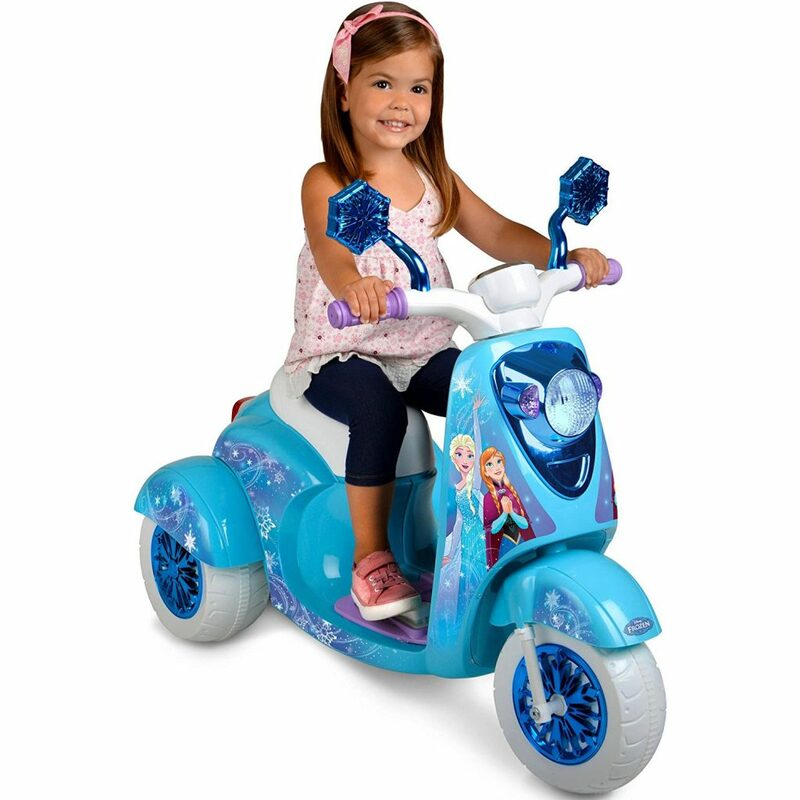 Frozen Ride on Toys for kids that are battery powered have been popular since my kids where little, and are still popular with my grand kids. There aren’t many toys down through history that you can say that about. Fisher Price Power Wheels and other battery powered car for kids have done a good job creating their favorite Disney characters into their favorite ride on toys. 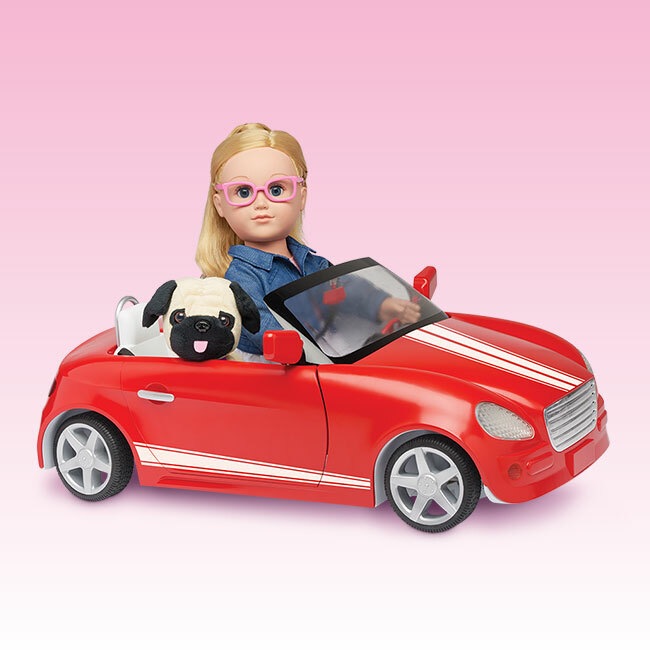 These drive on all hard surfaces, grass, rocks and will go up hill. Some are 12 volt powered and some are 6 volt, so pay attention when you are checking these out. Also, I highly recommend you order an extra battery. They don’t cost that much and it will save you hours of kids complaining because the battery ran out too soon. Keep the extra charged for when the other one runs out. 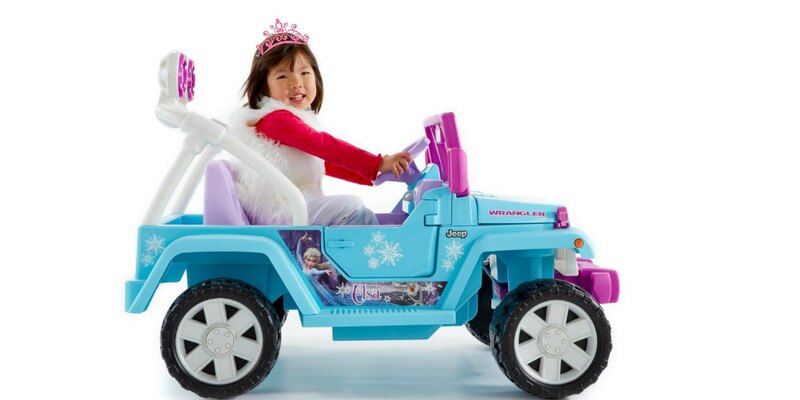 If it looks like a Jeep Wrangler, you know it is a Fisher Price Power Wheels Jeep Wrangler. It has all the same features that the real Jeep Wrangler has (almost). The jeep doors open and the radio play kids favorite songs from the Frozen movie. 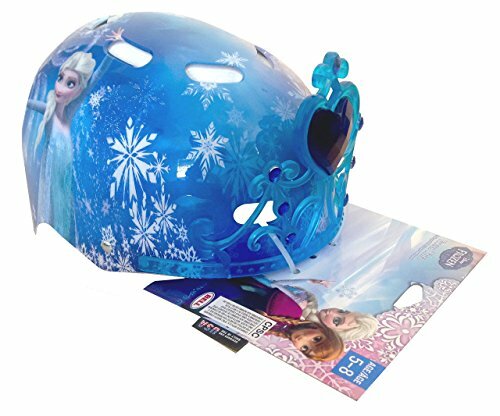 Check out the rest of the features to see if this is the perfect Frozen Ride on Toy for your kids. 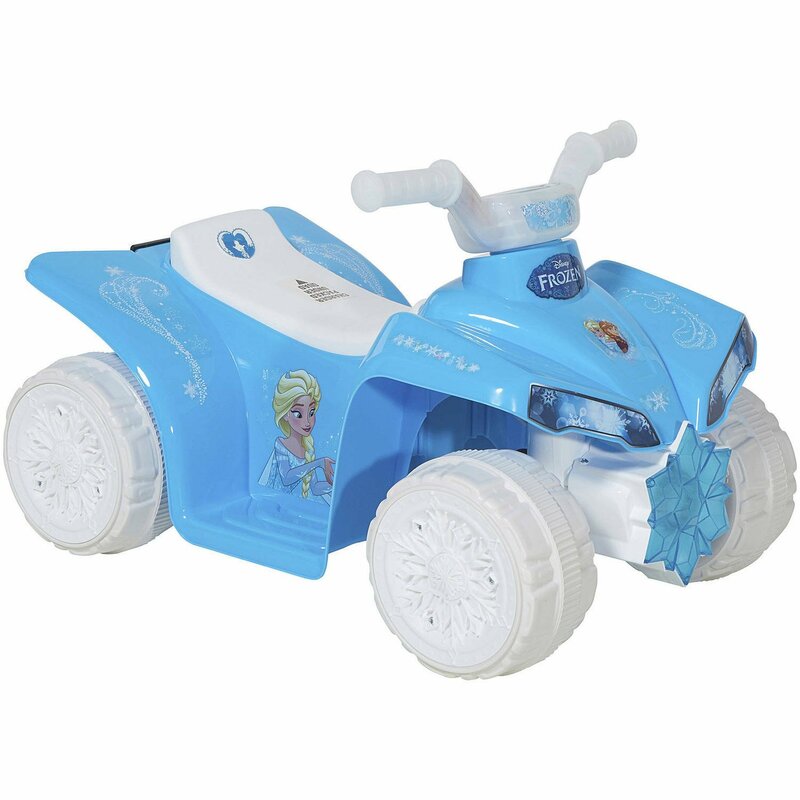 This sporty Fisher Price Frozen Mustang comes in the Frozen colors, but has all the chrome accents you would want on your Mustang. A 12 volt battery will keep this Mustang going for an hour or so. These doors don’t open, but with a convertible car it’s still cool to climb in over the door. 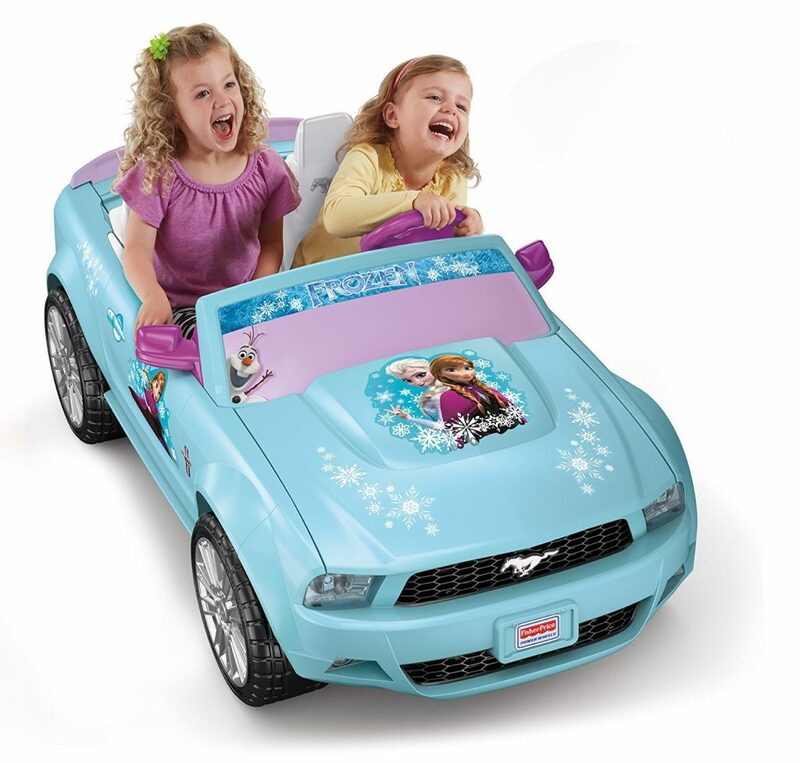 Check out the other features this cool Mustang has. 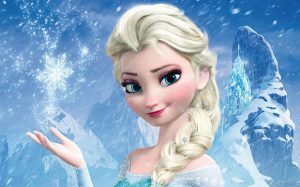 This might be her perfect Frozen Ride on Toy. 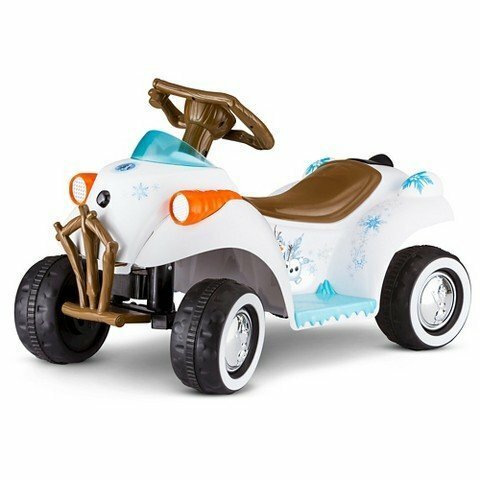 Olaf is my favorite character from the Frozen Movie, so I had to add this Toddler Quad car. 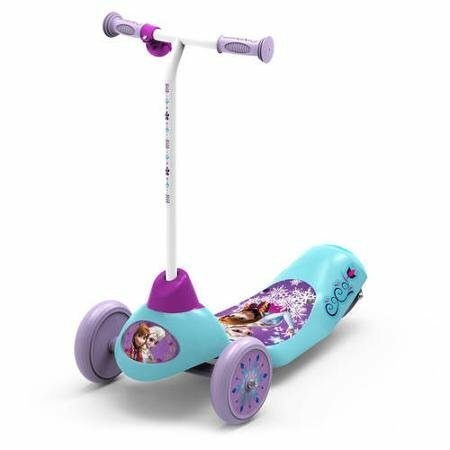 It is a 6 volt, perfect for smaller kids, with not too much power. It comes with a battery charges and can handle up to 40 pounds. So it truly is made for a toddler. 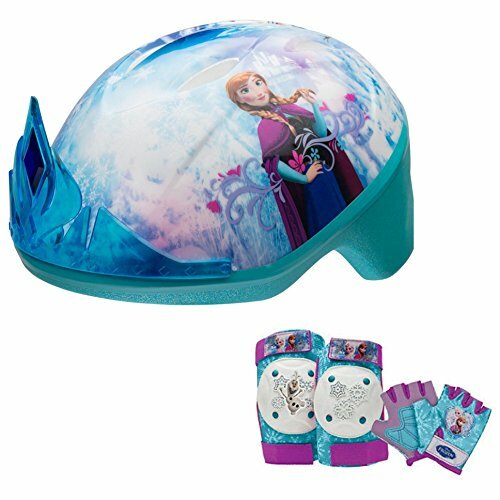 Check out the rest of the features to see if this is your little girls favorite Frozen Ride On Toys. 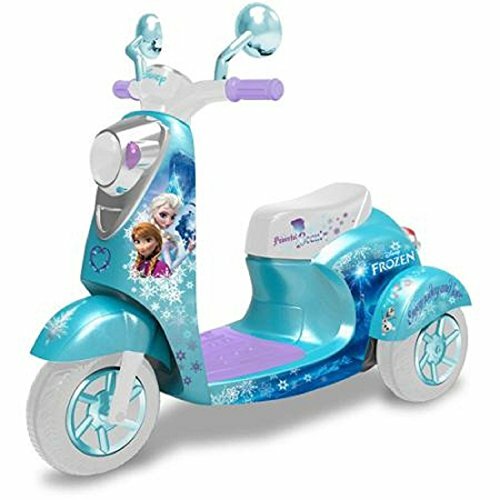 Perfect Frozen battery powered scooter for ages 3 and up. 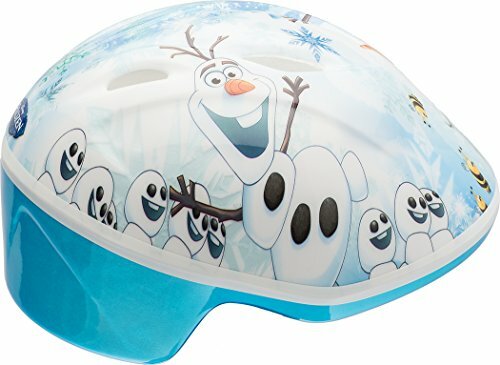 With the Frozen colors and decals it creates the feeling of being in the movie. 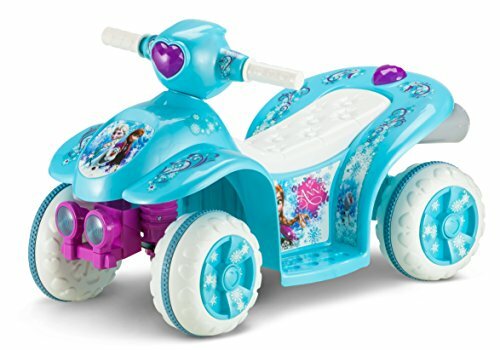 Forward and reverse make this Frozen scooter even better than the Quad car for the younger kids. 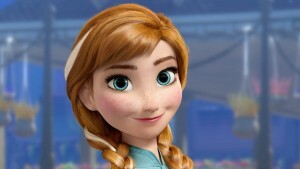 With so many great Frozen Ride On Toys, it’s going to be hard to make a decision. 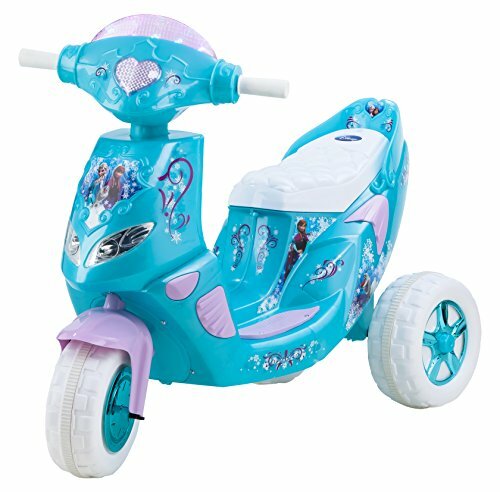 More Great Battery Powered Scooters you might like. 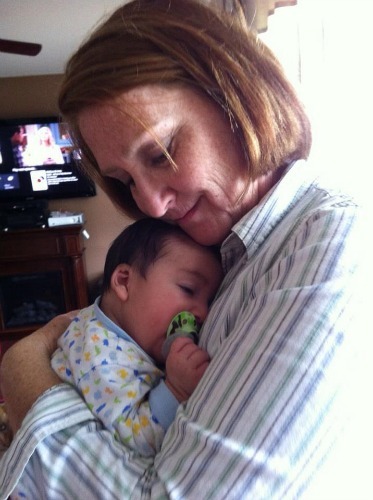 We always want to make sure our precious little ones are protected. Because of that, I decided to add some protective gear, helmet, gloves and knee pads. 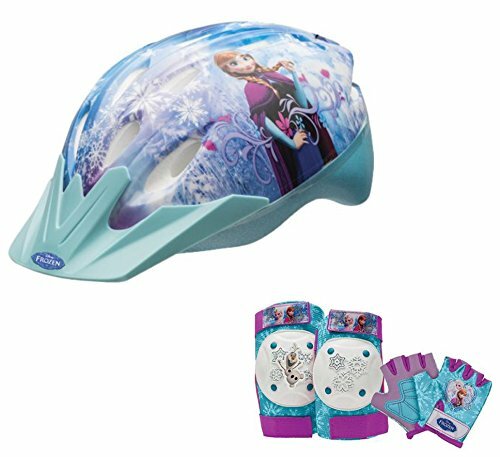 Not all of them come with the gloves and knee pads, so read the fine print. 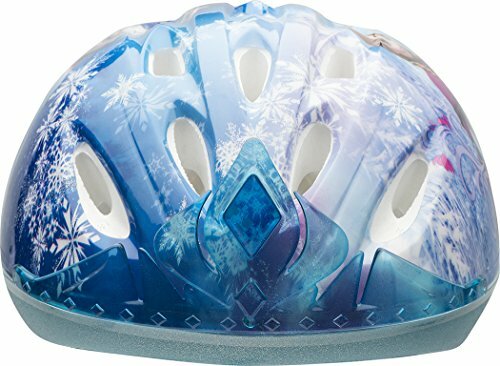 I love the one with the crown on the front. Adorable! 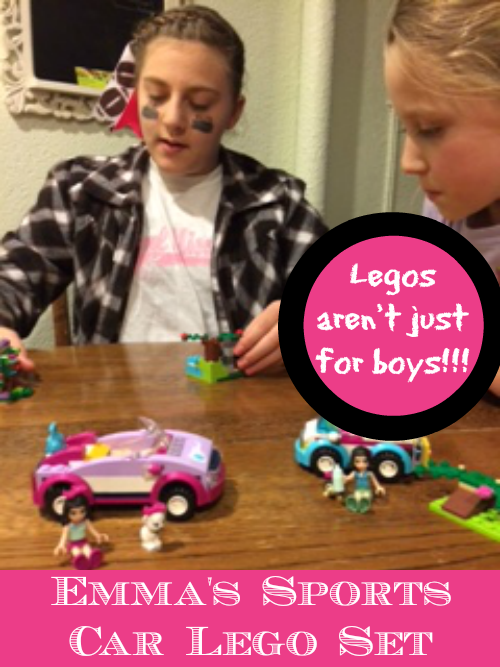 Most people who have Power Wheels or any battery operated ride on toy, knows that sometimes the wheels lose traction. If this becomes a big problem for you, here are a few videos that will help you fix your wheel traction problem. It’s an easy fix and doesn’t cost much, if anything at all. You may already have what you need laying around the house. Walmart just introduced their new free 2 day shipping. Check to see if you can save some money by price comparing with Walmart. Which Frozen Ride On Toys Will You Choose For Your Kids? Deciding which Frozen Ride on Toy to buy is the hard part. 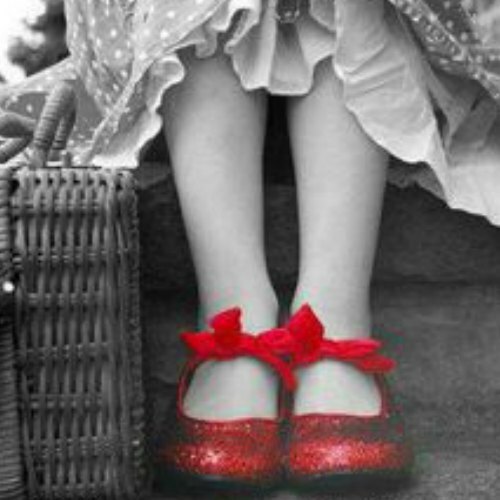 But I am sure whatever you choose for her, she will love it. 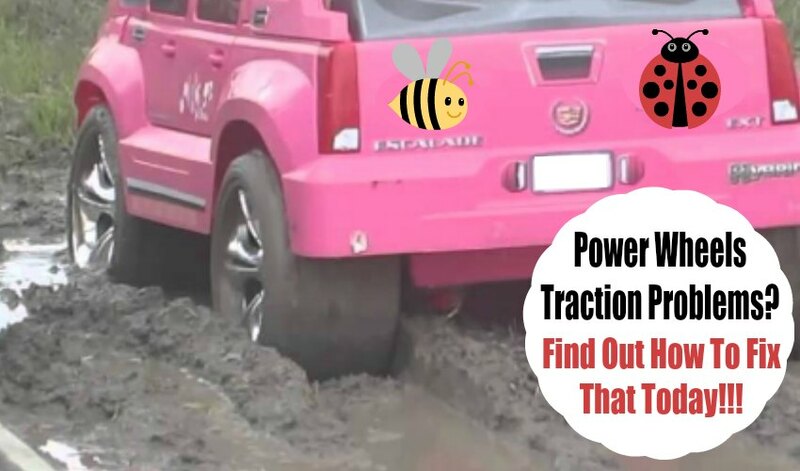 Don’t forget to grab the products you will need to Fix the Power Wheels traction problems. Also, don’t forget the extra battery. You will thank me for that tip later.